If the dice are machined, then why do they have rounded edges? 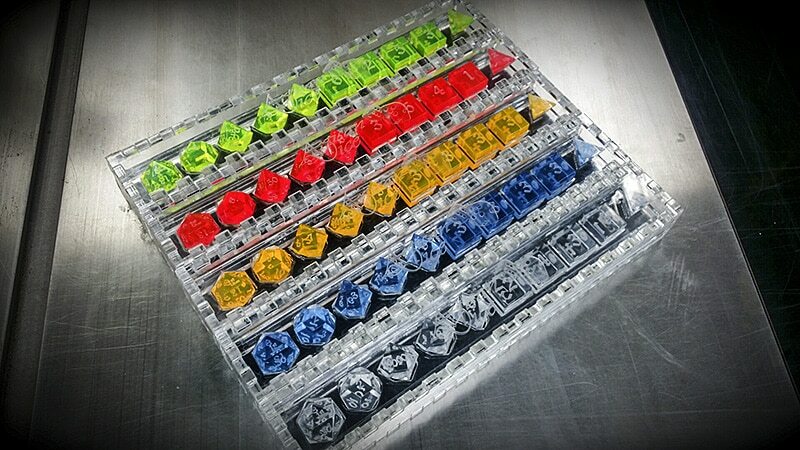 Shouldn’t they be straight edged and very exact like Las Vegas gaming dice? the slight radius from from the polish/buffing we do to bring die surface to an optical clarity. the edged are still FAR more crisp that normal dice. 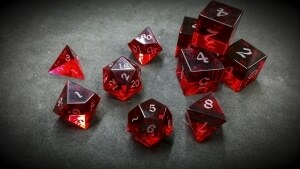 Just ordered these dice(the 14th), payed for them but have not heard anything about when I will be receiving them. 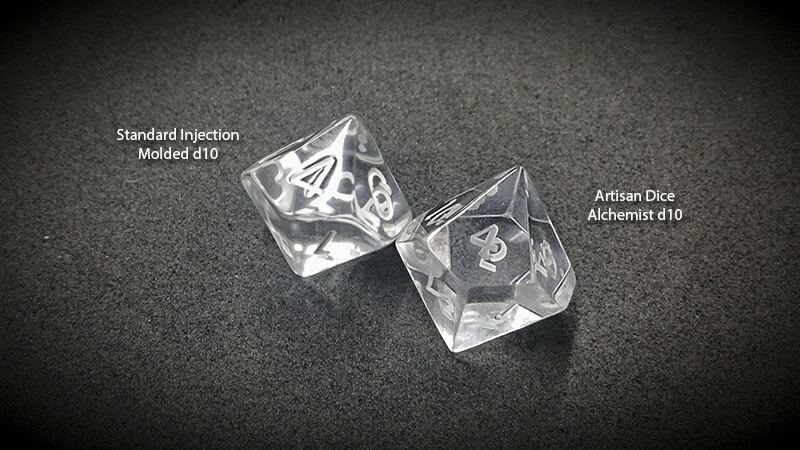 I keep thinking about ordering these dice but for the price I would like them machined with crisp, exact edges similar to those found in Vegas gambling dice. Could you do that? I understand that you buff/polish them for optimal clarity but I would rather have exact dice that give me an equal chance at all numbers rather than have crystal clear clarity. Moreso, because of the price paid for them. Is this possible? Pretty much, even the Gamescience dice (which have sharp edges) aren’t “random”, also, did you know that the dice at a casino are changed out every shift for concern of wear?